$5 discount on Thursday, Friday and Saturday nights, from 5PM to 9PM, during the DreamWorks evenings (exclude permanent exhibitions). This summer at the MSC, go behind the scenes of DreamWorks Animation’s most celebrated animated films. Spend time with Shrek, Alex and the gang from Madagascar, Hiccup and Toothless from Dragons, Po from Kung Fu Panda and Eep from Croods, and many more in this fully immersive adventure into the world of animation. Find all of the family’s favourite characters in this engaging globetrotting exhibition and explore — from sketch to screen — the secrets behind the making of these fantastical story environments. 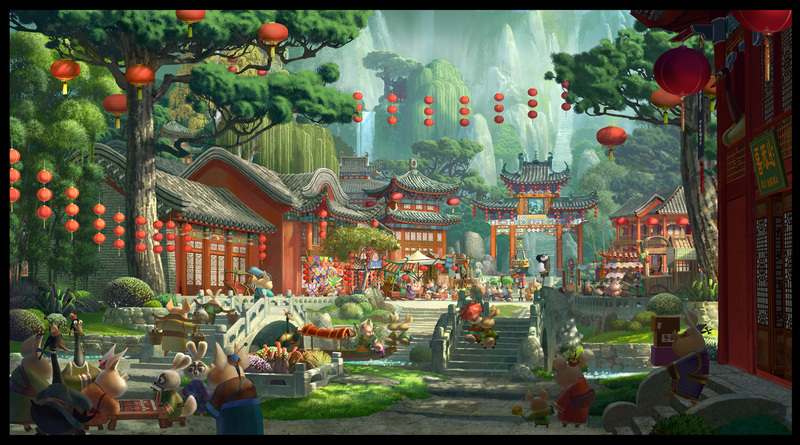 Discover exquisite concept art, maquettes, illustrations and backdrop designs. As you wander through the many realms of the DreamWorks universe take the opportunity to fly on a dragon’s back or create a short movie, experiment with lighting effects or control the facial expressions of your favourite characters. Explore the talent and creativity that inspired these popular films through over 400 original art objects and drawings. Learn how these cherished characters came to life through never-before-seen material from the DreamWorks archives. Immerse yourself in the storylines of these beloved animation films and watch a renowned filmmaker present a walk-through of a classic scene from Shrek on a gigantic digital storyboard. A one-of-a-kind and wondrous voyage into the DreamWorks imagination that will enchant the entire family. - Madagascar, 2005. Artist: Shannon Jeffries ©. - The Croods, 2013. Artist: Takao Noguchi et Dominique Louis ©. - Dragons, 2010. Artist: Pierre-Olivier Vincent ©. - Kung Fu Panda, 2008. Artist: Ritchie Sacilioc ©. - Trolls, 2016. Artist: Timothy Lamb ©. 2018 DreamWorks Animation L.L.C. All rights reserved.